All art shown here is copyrighted. 2016 show in may-jun. robin red-breast. I found my pears at the supermarket. 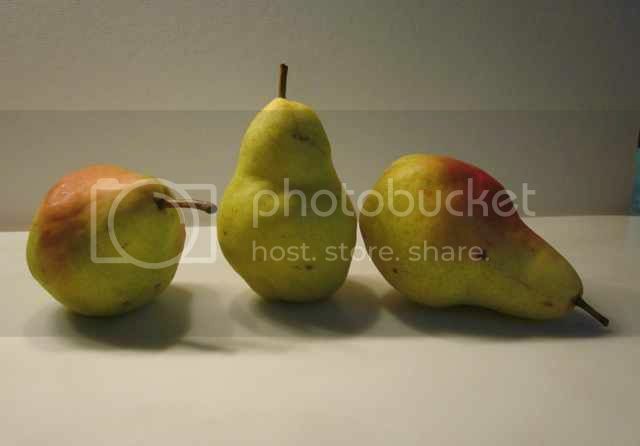 After unpacking my groceries, I decided to set up a photo shoot while the pears were fresh and beautiful. I set up lighting and background, so there would be good light and shadows. I spent a couple of days painting the pears myself and and planned to put it on an easel to use while the students painted their pears. The gallery fairly recently installed a projector that connects to our laptop computer there. Determined to learn how to use it, I put my my pear photo on one of those external USB disks. It then plugs into the computer and with the past verbal instructions from another teacher, I played with it until I got it to work for me. Yes! For the next class, I projected the photo of the pears on the large screen and set up the tables facing the screen. There is really isn't a good place to set up a still life with proper lighting that everyone can see well enough to work from, but the screen is huge and worked very well. First we drew the pears on tracing paper and then when we were happy with composition, we transferred them to our watercolor paper. We worked the colors in layers (glazing), allowing them to dry completely each layer. It required a lot of patience, but gradually the colors and textures built up slowly to create some mouthwatering pears. At the end of the first class I took pictures of what they had done so far. The next week we continued working on the light and shadows. Then we put a background in so as not to have the pears floating there, but have a place to rest. 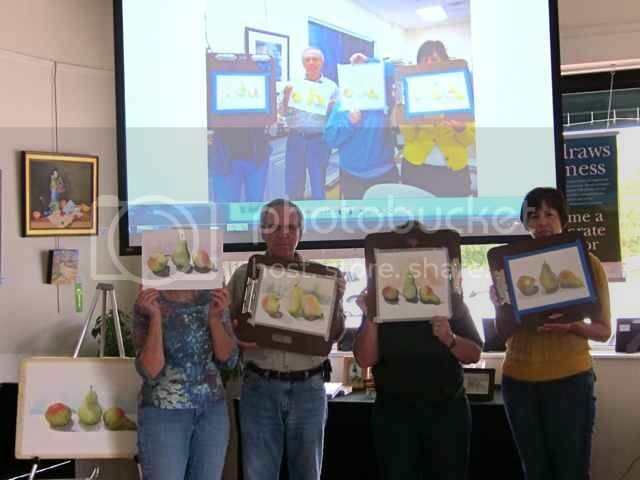 We finished the pears that session and I projected the photo of last week's work on the screen. 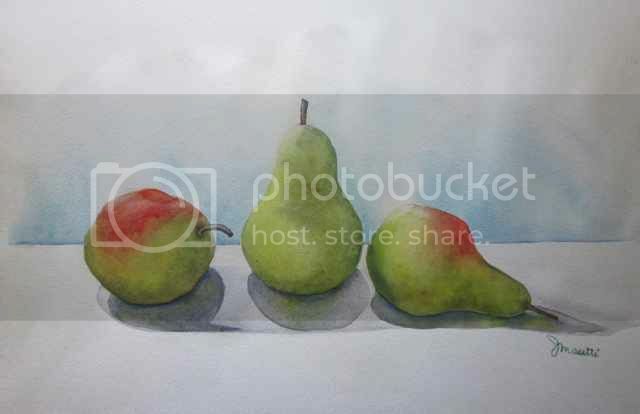 I had everyone stand in front of themselves at the screen and I took another picture so you and they could see their progression on their pear watercolor paintings. I think I have some wonderful and bashful artists in my class.